Margaret was born on August 14, 1473 at Farleigh Castle, near Bath. Her father was George Duke of Clarence, brother of King Edward IV. Her mother was Isabel Neville, eldest daughter of Richard Neville, Earl of Warwick and heiress to one of the largest and richest landed estates in England. Margaret received an education worthy of her important status. In addition to reading and writing, she received instruction in playing musical instruments such as the virginals, she learned how to sew and how to manage a household. As the king’s niece, she was considered a very eligible bride for some nobleman or possibly even a foreign prince. Her brother Edward was born in 1475 and her mother died about a year later. After this, her father began acting erratically, even going so far as to rebel against his own brother the king. The consequences of his behavior caused him to be attainted as a traitor and executed upon the orders of the king. Margaret and her brother were orphans with no means for making a living. Both of them became wards of the crown and there is evidence King Edward granted funds for Margaret’s upkeep. After the unexpected death of King Edward and the usurpation of the throne by Richard III, the dynastic significance of Margaret and her brother increased due to Richard’s lack of an heir. King Richard found a way to minimize their importance in the succession by claiming because their father had been attainted for treason, they were unable to inherit the throne. This was a weak claim by the king as the attainder of Clarence never mentioned his heirs. 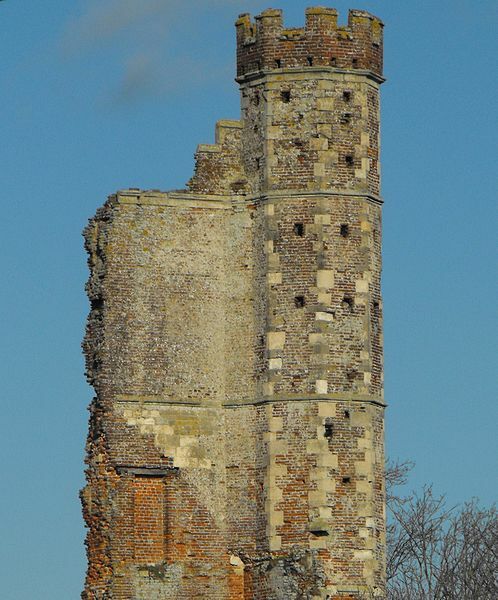 During the reign of King Richard, Margaret and her brother were living in the castle of Sheriff Hutton along with other important children of the realm. With the defeat of King Richard at the Battle of Bosworth and the ascension of Henry Tudor to the throne, Margaret and Edward were put in the care of the new king’s mother Margaret Beaufort. During 1486, King Henry had ordered Margaret’s brother Edward confined to the Tower and took steps to take his estate, viewing him as a threat to his dynasty’s claim to the throne. In September of 1486, Margaret attended the christening of Henry VII’s eldest son Prince Arthur. She was also present at the coronation of Queen Elizabeth of York in November of 1487. While we don’t know the exact date, there is strong evidence Margaret was married in late 1487 to Sir Richard Pole. Pole was a member of the landed gentry and a half-cousin of King Henry on his mother’s side of the family. Sir Ricard owned two manors and had an income of £50 per annum. At the time of the marriage, Margaret was fourteen and Richard was twenty-eight. Despite the lack of prestige of the marriage and the age difference, the couple seems to have been happy and their time together allowed Margaret to enjoy a time of peace and prosperity. Margaret lived at Bockmer in Medmenham and also in Stourton Castle in Staffordshire to remain close to her husband as he fulfilled his duties in Wales. Richard’s status and income would rise under King Henry VII. Margaret would give birth to five surviving children: Henry, the future Lord Montagu, Arthur, Ursula, Reginald and Geoffrey. King Henry negotiated an important marriage agreement with Ferdinand and Isabella of Spain in 1489. Their daughter Katherine was to marry Prince Arthur. Part of this agreement led King Henry to assure the Catholic Monarchs of the security of the throne of England for the Tudor dynasty with the regrettable executions of the pretender Perkin Warbeck and Margaret’s brother Edward in late 1499. Beginning in 1501, Margaret was a member of Katherine of Aragon’s household and served her during her marriage to Prince Arthur. Once Arthur died, her service to Katherine ended but Margaret would become good friends with her and remained fiercely loyal to Katherine. In the fall of 1504, when Margaret was pregnant with her fifth child, her husband Richard died, leaving her a thirty-one year old widow with five children and a drastically reduced income. Margaret chose at this time to give her son Reginald to the church. King Henry paid for Reginald’s education and he went to Italy to study. Margaret’s fortunes improved with the accession of Henry VIII to the throne in 1509. Margaret became a member of the Queen’s household when Henry married his brother’s widow, Margaret’s good friend Katherine of Aragon. Significantly, in 1512, King Henry restored to her the earldom of Salisbury. Margaret had to pay Henry five thousand marks for her restoration but these terms were very fair compared to what other nobles paid. This meant she was now in possession of all the lands her brother held at the time of his execution. Henry most likely did this as an unstated recognition of the injustice of her brother’s death. As Countess of Salisbury, Margaret and Anne Boleyn (as Marquess of Pembroke) were the only women in sixteenth-century England to hold a peerage title in her own right. With this title and the lands she owned, Margaret was one of the wealthiest and most powerful and influential women in England. The Countess maintained four principal residences: Clavering in Essex, Bisham in Berkshire, Le Herber in London and her manor at Warblington in Hampshire. In 1516, Margaret was named a godmother to Henry and Katherine’s daughter the Princess Mary. In 1517, she was appointed governess to Mary, a very great honor and she took up the duties of the office no later than May of 1520. Margaret left the position on July 24, 1521 but was reappointed in 1525 when she followed the princess to Ludlow. She would remain as governess until 1533. Margaret’s position at court was solid during this time. Margaret arranged good marriages for all her children while declining any offers of marriage for herself. Her eldest son Henry had a good reputation at court and was a great help to his mother as she consulted him and relied on his advice. The status of the Pole family unraveled slowly. Margaret’s son Arthur, who was a member of the King Henry VIII’s inner chamber, may have been expelled in a purge in 1519. However, he appears in the record as being part of the outer chamber as late as 1526 so he must have been to some extent restored to the king’s good graces. Arthur died in either 1527 or 1528, probably of the sweating sickness. Then in April of 1521, Edward Stafford, Duke of Buckingham was convicted of treason and executed the following month. The Duke was the father-in-law of Margaret’s daughter Ursula. Ursula and her husband were demoted in the peerage and received only a small portion of the Duke’s property. Margaret made the ill-advised decision to defy King Henry VIII over some disputed properties. There were several manors that Margaret claimed were part to the Salisbury inheritance and King Henry argued they belonged to the duchy of Somerset. While neither Margaret nor the King were legally entitled to the properties, the clash over these properties caused Margaret to fall out of favor with the king. 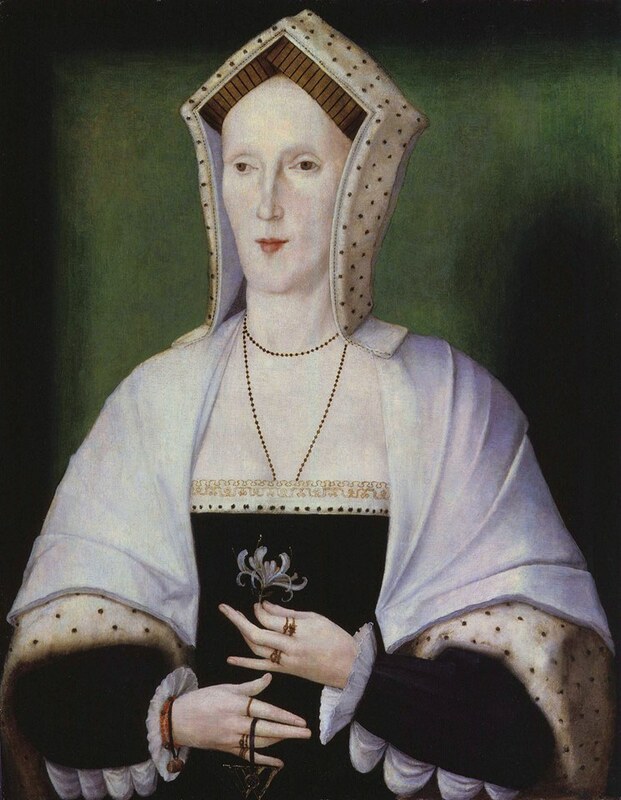 Margaret was vocal and determined in her support of Queen Katherine and Princess Mary in the debate over the King’s effort to divorce the Queen to marry Anne Boleyn, thereby further damaging Margaret’s relations with the king. In 1533, Margaret refused to turn over Princess Mary’s plate and jewels to the king, creating more tension and alienation. She was dismissed as Mary’s governess in that same year and didn’t return to court until 1536. Soon after this, Margaret’s son Reginald wrote a letter to King Henry challenging Henry’s bid to become the Supreme Head of the Church of England. Margaret was compelled to send a letter to her son admonishing him for his stance. In August 1538, Margaret’s son Geoffrey was arrested when it was discovered he had been in contact with his brother Reginald on the continent and had also engaged in treasonous talk against the king. The entire Pole family would come under suspicion. Interrogations followed. Geoffrey was found guilty of treason and unsuccessfully tried to commit suicide twice. He was eventually pardoned but seems to have suffered from mental illness until his death in 1558. Margaret’s eldest son Henry, Baron Montague was arrested and attainted. He would be executed on January 9, 1539. Margaret herself was questioned by William Fitzwilliam, the Earl of Southampton and Thomas Goodrich, the Bishop of Ely. Margaret was firm and steadfast in her replies and was not intimidated by the men. The earl grudgingly had to admit how tough Margaret was and they found no evidence against her. Despite all the testimony garnered from the witnesses, Margaret was not implicated in any crime. The worst accusation which could be made against her was she didn’t allow her household and tenants to possess a copy of the Bible in English. At first, Margaret was held under the supervision of Fitzwilliam in his home. In May of 1539 she was attainted by Parliament and in November she was transferred to the Tower of London. The charges were aiding and abetting her sons Henry and Reginald in committing diverse and sundry treasons. Thomas Cromwell introduced evidence against her. He presented a tunic allegedly found in her coffers which he stated symbolized Margaret’s son Reginald’s intention to marry the king’s daughter Mary and to restore papal authority in England. It is highly probable Cromwell fabricated the tunic. Because Margaret owned numerous properties near the southern coast where an invasion was feared in 1539 by supporters of Reginald and because Margaret had poisoned her relationship with King Henry, she stood no chance of being pardoned. Even so, King Henry made sure Margaret was well taken care of while imprisoned, paying for clothing and food. She shared her cell in the Tower with her grandson Henry and the son of the Marquess of Exeter and was allowed to have a waiting woman with her. In 1541, a rebellion broke out in the north of the kingdom. Sir Thomas Wyatt and Sir John Wallop were found to be conspiring with Margaret’s son Reginald in this uprising. The strategy of the rebellion possibly included a plot by Reginald to rescue his mother from the Tower. Whether any of this was true or not, King Henry may have suspected Margaret of being involved with the rebels. There is some evidence the government needed to clear the Tower of prisoners to accommodate locking up the numerous rebels from the uprising. Certainly the decision to execute Margaret was made hastily. On the morning of May 27, 1541, Margaret was told she was to be executed. She expressed great surprise as she did not know what crime she had committed and had not been told of her sentence. Margaret immediately composed herself and was hurriedly taken to a small corner of the Tower confines. There was no scaffolding, only a small block and there were very few witnesses. Margaret courageously commended herself to God and asked all of those present to pray for the king, queen, Prince Edward and Princess Mary. The professional executioner had been sent north to deal with the rebels. Consequently, there was an inexperienced youth who was hired for the execution. After Margaret laid her head on the block, the youth butchered her head and shoulders before finishing the job. The fall of the Pole family had been spectacular. Margaret was buried in the chapel of St. Peter ad Vincula within the Tower confines. Her son Henry had also been buried here. Margaret’s remains were discovered in the chapel in 1876 and upon examination, it was revealed she was of above average height. All of the assets within the Earldom of Salisbury, which Margaret had meticulously garnered and developed, were forfeited to the Crown. 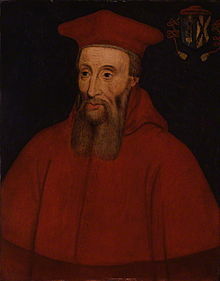 However, when Mary Tudor became queen upon the death of her brother in 1553, Reginald Pole returned to England and became an advisor to the Queen. Mary would recognize the loyal support of the Pole family by treating Margaret’s relatives with kindness and restoring some of their property. Margaret was beatified by Pope Leo XIII in 1886 for laying down her life for the dignity of the Holy See and for the truth of the orthodox Faith. Margaret’s story is fascinating because her life spanned the final years of the Wars of the Roses all the way into the latter part of the reign of Henry the 8th. She lived through major political turmoil and yet held her ground down to the bitter end. Another great post! I can’t imagine living with the stress that your life can change from high to low to execution by a whim of a king or some instigating nobles. Richard III also added doubts to Henry VIII’s legitimacy when he and his mother, Cecily, Duchess of York, cast aspersions upon the legitimacy all of Edward IV’s offspring. Richard claimed that Edward had already been married when the king chose to marry Elizabeth Wydvyle. That Cecily truly supported this claim is the subject of dispute. Still, the whispering in the realm aided Richard’s aims. He even tried to create doubt about Edward’s legitimacy, but most did not give it any consideration. Edward carried the Plantagenet features far better than his youngest brother. Nonetheless, this smear on the legitimacy of Edward’s first daughter, Elizabeth, whom Henry VII married, carried over to darken Henry VIII’s legitimacy. All the more reason the Tudors were bent upon removing better claimants! I didn’t know that Margaret was beatified. She was a strong and principled woman, it seems. Again, Henry VIII and Cromwell has a lot to answer for. Thanks for a very complete summary of her life. Margaret had the spirit & self-confidence of her maternal grandfather, Warwick the Kingmaker. She also as single-minded in her loyalties, willing to face dreadful consequences for what she believed were the rights of her line. I had read that she made it even harder for the neophyte headsman by jerking around on the block, spoiling his aim. What truth there might be to that is speculative; she could have been reacting to the butchery with instinctive self-preservation reflexes. The Poles had kinship to the Lancasters through the descendants of Geoffrey Chaucer, who was the husband of Philippa DeRoet She was a sister of John of Gaunt’s third duchess, Katherine Swynford, mother of the Beauforts. The Beauforts were staunch Lancastrians, and the line from whence Henry VII descended. With Margaret’s Yorkist lineage melded into the Pole’s Lancastrianism, another mending in the Rose Wars breach helped Henry VII’s cause. Sadly, it also caused Henry VIII to fear the legitimacy of Margaret’s heirs. The shakiness of his own daughters legitimacy fueled a desire to remove all avenues of contention (it being generally agreed that Edward VI’s legitimacy was beyond reproach). No one ever questioned the purity of Margaret’s claims, regardless of the attainder. Henry VIII did not dare leave his children to deal with threats of better claims. The Poles had to go — every last one. England’s history is colorful and fascinating due in no small part to its women. Queens, countesses duchesses, holy women, mistresses, shopkeepers, mothers and such provided color, vibrancy and humanity behind the male-dominated written history. I thank Ms. Abernethy for bringing attention to this powerful, fearless woman!